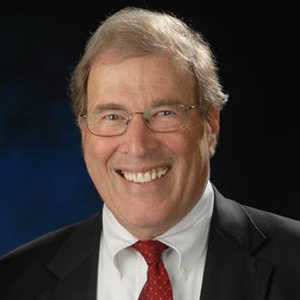 Dr. Greenfield is one of the country’s most eminent and experienced health services researchers and policy experts. Serving as the Executive Co-Director of the Health Policy Research Institute at the University of California, Irvine and Donald Bren Professor of Medicine, he and colleagues have produced major policy relevant findings over the past 4 decades, resulting in over 33,000 citations to papers in which he was an author. He and his colleagues have opened at least 4 new fields: nurse practitioners, outcomes research, patient participation in Medical Care, and heterogeneity of treatment effects, a major focus of Patient Centered Outcomes Research Institute (PCORI) and Comparative Effectiveness Research. His principal accomplishments lie in the areas of quality of care assessment, case mix determination, enlarging the patient role in care, clinical practice guidelines and comparative effectiveness research. He has been Chair or Co-Chair of 4 Institute of Medicine (IOM) committees: Guidance for the National Healthcare Disparities report; Cancer Survivors: Lost in Transition; Initial Priorities for Comparative Effectiveness Research; Clinical Practice Guidelines We Can Trust; and he has been a member of a number of prior IOM committees. The goal of our project is to develop ways to predict, prior to treatment, which therapy will work best for each patient based on a computational approach that takes into account socioeconomic status, health status, comorbidity, traditional severity indicators, and genomic tests. The final composite prediction model will aid doctors and patients in personalizing prostate cancer treatment decisions to maximize effectiveness and minimize side effects.